How to add photos to your timeline, whether you've just taken them or from an archive on your device. To add a photo or video moment, just tap on the big + button at the bottom right of your screen. 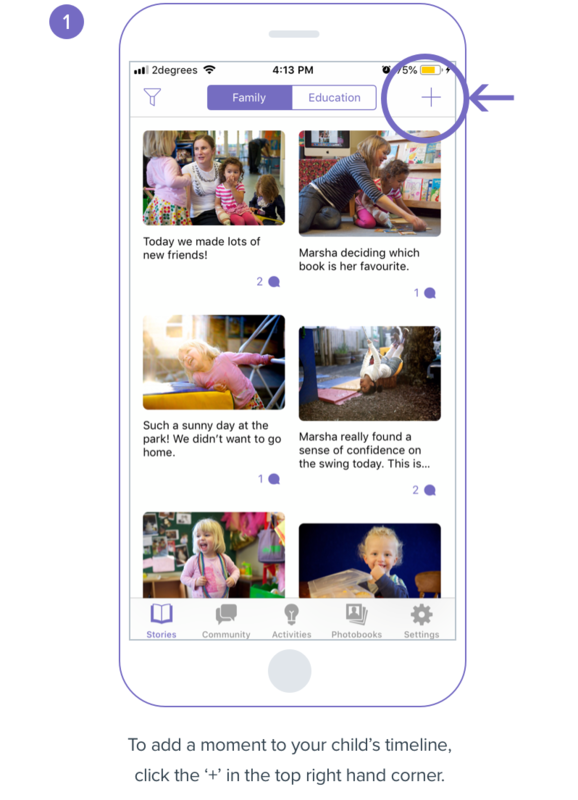 Select any photos or videos you want to add to your child’s timeline and tap the next button at the top right of your screen.